Saturday was windy and sunny. 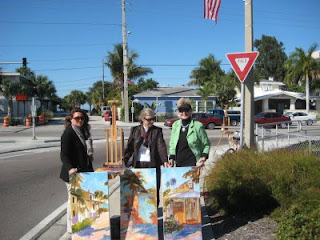 Violetta, Mary Rose and Helen braved the high winds and set up our half french easels. 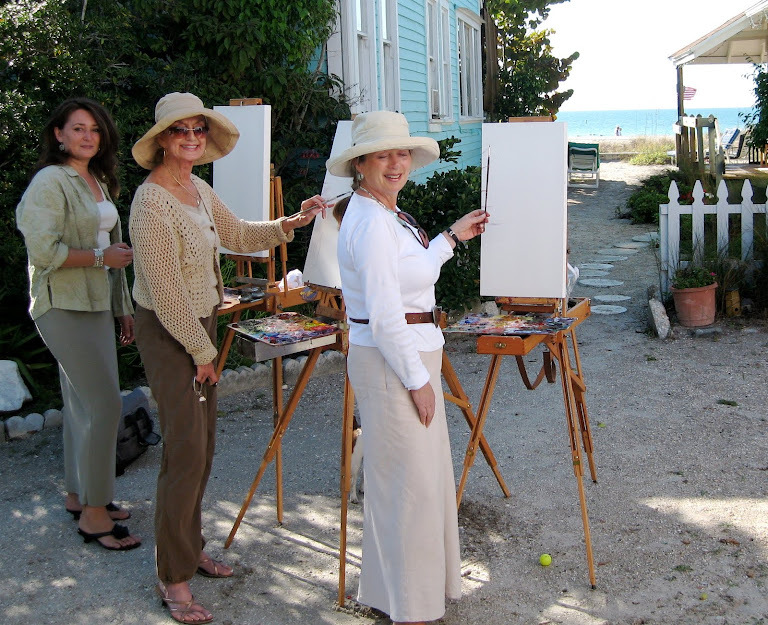 Our canvases were like sails in the wind and the challenge was to paint and keep the easel and canvas secure in the wind. The motif is the beach entrance at Gulf Blvd and Fifth Avenue, Indian Rocks Beach. This beautiful scene is the first view of the Gulf as visitors apprach Indian Rocks Beach. 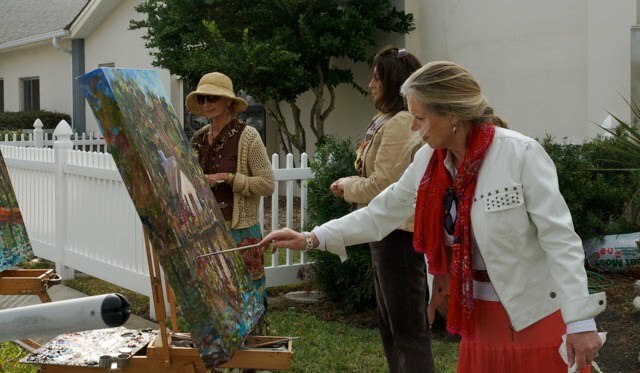 The painting will be on display at Guppy's on January 9th, 2009.